DEFENDER2.NET - View topic - French pollution (read "anti-Defender") vignette. Home > Europe > French pollution (read "anti-Defender") vignette. Well, then, like I said there could be an issue with Switzerland. First, I own 2 cars with the same registration, the RRS and the Defender. Second, the registration is personal in Switzerland, my plates follow me al my life, from car to car. Yes I remember that from my time there but when the system comes online in a couple of weeks I'm sure the French have some way to get around it. They had this back in Germany when I lived there 20 years ago. Not allowed to drive into Central Stuttgart unless you had a "green Sticker" Has since become a whole lot stricter too and rolled out to many other cities. However, and don't quote me here, once a car becomes an "oldtimer" (possibly 30 years old, need to check) it ceases to be part of the regulations. Is that hidden anywhere in the small print for the French regulations per chance? I've 2 cars here one a 1988 and one a 1991, both insured and marked as collectors cars and living in Paris. It's odd that a car registered before 1997 is now not allowed in Paris mon-fri only for it then to be allowed again once it's 30 or sooner if someone decides it's a classic. Votre v�hicule ne r�pond pas aux crit�res retenus pour l'attribution d'un certificat qualit� de l'air. Or Your vehicle does not meet the criteria for an air quality certificate. We have a bit of air pollution here right now due to a month long period of cold weather and total absence of wind and precipitation. Well, when it rains in Paris, it drizzles in Geneva. In addition, the Department is currently studying a new provision, similar to that of France: it could restrict the movement of vehicles in the event of pollution spikes. 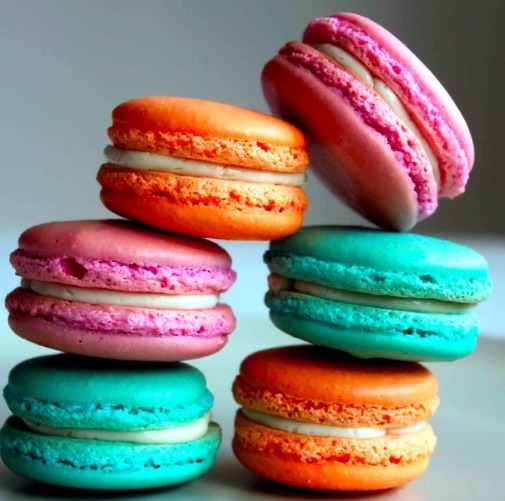 Concretely, the development of macarons of colors, allowing to characterize the vehicles according to their environmental impact, is envisaged. Unquote You never actually own a Defender. You merely look after it for the next generation. f.a.o.ericvv does this include the kennedy tunnel or is it only within the city and not on the autoroute ? City only, Kennedy tunnel and ring road remain outside the lez there. You never actually own a Defender. You merely look after it for the next generation. Unlike the Swiss vignette which simply has to be in the front windscreen and clearly visible. The definition of insanity is doing the same thing over and over again but expecting different results. Solihull, 1948 - "If we paint the chassis, it will last for years"
Why these crazy words "anti-defender" ? This passing is for all the vehicule that going into Paris city. Not just for Land Rover. You can go also with the Land Rover when you want normally no problem if you want. I have a solution to this. Don't go to, or live in France......In Italy people are nicer, wine is better, property is cheaper and the police are all petrol heads. You mean that Italy where since a couple of days Euro 3 are not allowed in a lot of towns during the week? The same that for other Euro in some towns you have to buy a ticket in advance everytime you want to enter?